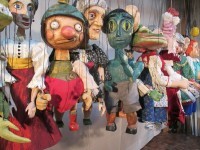 These puppets were created by participants at Puppets in Prague Marionette Carving Workshop in June 2013. 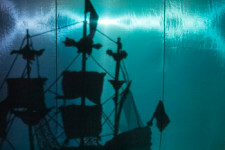 Drak Theatre in Czech Republic offers various programs, including performances, puppet exhibit in its Labyrinth and workshops for schools. 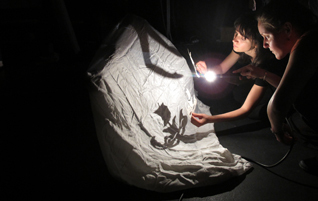 A group scene work at Shadow Theatre Workshop with Teatro Gioco Vita in Piacenza, Italy in June 2014.
from "A World of Chinese Puppets" exhibit at East-West Center in Honolulu, Hawaii spring 2014. Different types of Chinese puppets were on exhibit at the East-West Center in Honolulu, Hawaii from January 25-May 11, 2014. 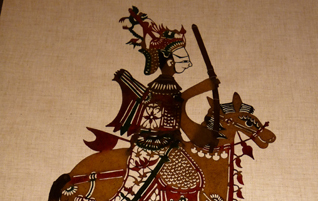 "A World of Chinese Puppets" exhibit was from the collection of the Lin Liu-Hsin Museum in Taiwan. 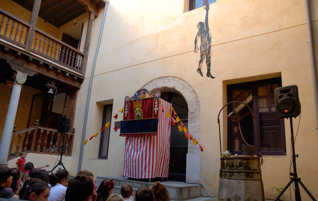 Puppets shows by many international and Spanish artists were presented at Titirimundi International Puppet Festival in May 2014 in a beautiful old city of Segovia, Spain. Various puppetry workshops I have attended around the world. Enjoy the glimpse of these workshops from my personal experiences. Going to puppet festivals is a great way to meet and be inspired by amazing artists from all over the world. Dive into the world of puppetry. Personal encounters with various exhibits at different places. Some are permanent exhibits at museums and some special exhibits.